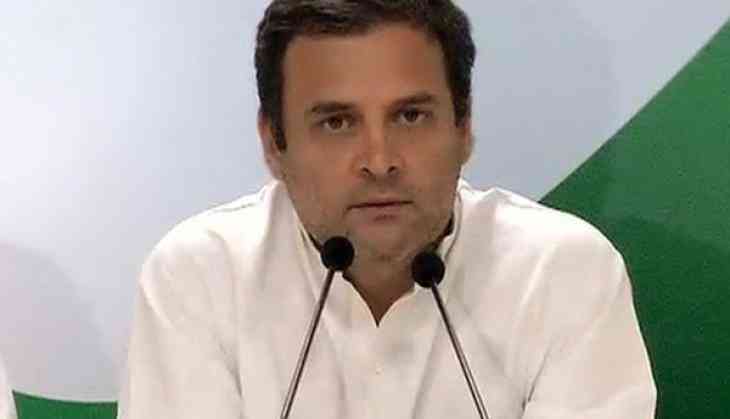 Congress President Rahul Gandhi opined that much like Europe, India's role should be to balance the United States and China. Interacting with those present at Kampnagel Theater in Bucerius Summer School, Gandhi said, "There are different visions in the world, including that of the US, China and India. India has a strategic relationship with the US, and we share some ideas like democracy with them. But India cannot ignore that China is growing very fast and is going to shape the planet. India's role is to balance these two powers." The Congress President further said that Indians and Europeans, owing to their structure, are very well positioned to make sure that no conflict occurs between the US and China. "From an Indian perspective, there are certain values like non-violence, compassion, listening that are increasingly going to become more important in the 21st century. There are certain values and a strong set of ideas that Indian brings to the table which are unique. India and Europe's role will be to balance the narrative," he added. Gandhi, however, stated that though India shares a good relationship with the US, it will act in its own interests. "India has a good relationship with the US, shares a set of values with them. India is closer to the US than the Chinese. China and the US are major players on the planet. India sees itself as similar. So, India will do what is in its interest." The Congress chief reiterated that violence cannot be used to overcome violence, adding that the only solution was forgiveness. "Of course there are people out there who are so angry and deeply infected by hatred that it will take a huge effort. But I think that is the only way forward, that is the philosophy I believe in. I have seen two members of my family being killed - my grandmother and father. I have suffered violence and I can tell you, there is only one way to let it go- forgiveness. And for forgiveness, you need to understand where it is coming from," he explained. Gandhi, in his address to the gathering, cornered the ruling National Democratic Alliance (NDA) government over the starch increase in the cases of mob lynching and claimed that such incidents were being caused by the forceful repatriation of people back into villages. "A large number of people who worked in small businesses were forced back into villages. This is what's making people angry. All the lynchings we hear about are the result of this. The Dalits, minorities and tribal people are now not allowed to gain from the government. All the money that used to go into schemes for the poor is now going to a few large corporates," he claimed. Highlighting a decline in employment generation in India, the Congress President noted that despite a steady growth, India continues to suffer from a shortage of jobs, which, he claimed, Prime Minister Narendra Modi refuses to acknowledge. The Congress President, who is on a four-day visit to Germany and the United Kingdom, will address the Indian Overseas Congress in Berlin on Thursday. Thereafter, Gandhi will visit the United Kingdom, where he will address an event organised by the Indian Overseas Congress in collaboration with local Indian-origin parliamentarians.